The region has a strong connection to agriculture. Ribatejo's stud farms are dedicated to breeding Lusitano horses, which are used in the distinctive Portuguese style of bullfighting. Although Spanish bullfighters long ago ceased fighting from horseback, Portuguese bullfighters still ride into the ring, hoping to stab the bull in the back with small javelins in the "cavaleiro," the first stage of the bullfight. Lusitano horses are especially suited for bullfighting; several Ribatejo wineries also serve as stud farms and cattle ranches dedicated to raising bulls destined for the ring. With its history tied to the land, Ribatejo is a place where agriculture still plays a very important role. The Tejo's floodplains are extremely fertile. *Ribatejo's seemingly dull farmlands have been called "Portugal's agricultural heartland." No wonder the region's winemakers are looking with renewed interest at terroirs and wine grape varieties. As in other parts of Portugal, winemaking in Ribatejo dates back to Roman times. Ribatejo winemakers began exporting their products early on; by the end of the 13th century the Ribatejo region was shipping about 60,000 barrels of wine to England alone each year. This area was very hard-hit by the unrest associated with the 1974 revolution. Some winemakers were displaced and others fared very poorly. The influx of European Union funding gave many Ribatejo winemakers the opportunity to upgrade their equipment and facilities, and they have taken full advantage of the chance to modernize. Over time, the boundaries of the Ribatejo DO has changed. The current sub-regions, Cartaxo, Santarém, Almeirim, Coruche, Tomar and Chamusca, used to be separate wine regions, but the Ribatejo DO has united them under one set of wine laws. This should have simplified matters, but the existence of the Vinho Regional Ribatejano has added another layer of confusion. The territory encompassing the Vinho Regional is virtually the same as the DO region, and some consumers have difficulty distinguishing between the two names. Ribatejo is located in southern Portugal, along the banks of the Tejo, as previously mentioned. The Ribatejo DO is northeast of Lisbon and does not have its own ocean coastline. Rainfall averages 20 to 31 inches in Ribatejo, with more rain falling in the northern "Bairro" area. Sunshine is abundant throughout the DO, averaging about 2,800 hours per year. 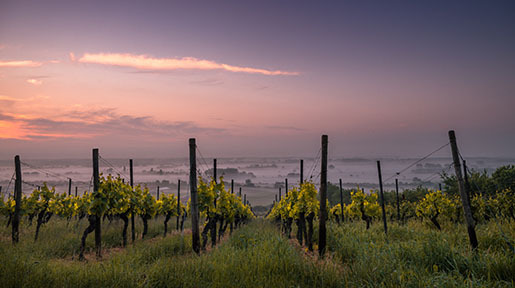 Because the region is so large, it is helpful to look at three geographical areas within the DO, particularly since each has its own particular terroir. These areas should not be confused with the official sub-regions of the Ribatejo DO. The "Campo" or "Lezíria" area lies along the Tejo River and is subject to flooding. The river dumps rich soil onto the floodplains along its banks. The area's climate is quite temperate. White wine grapes predominate here, although some red wine grape varieties are grown. The "Charneco" ("heathland" in English) area is south of the Campo on the Tejo's left bank. This is horse country; Portugal's famous Lusitano horses are raised here. The soils are sandy and the climate is drier and more continental than that of the Campo. The Charneco is an excellent place to grow red wine grapes, and some of the DO's best red wines are produced here. The "Bairro" ("neighborhood") area lies north of the Tejo. Soils are mostly clay and marl. The climate can be classified as Atlantic or near-Atlantic; this area gets more rain than the Campo or Charneco, sometimes as much as 31 inches per year. 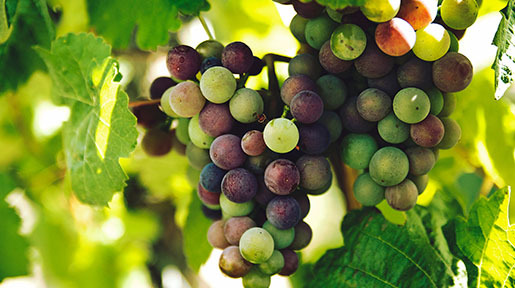 Ribatejo's wine law permits use of a dizzying array of wine grape varieties. Adding to the identity confusion, a separate wine law applies to Vinho Regional, or Ribatejano wines. Some of the permitted white wine grape varieties in the Ribatejo DO include arinto, fernão pires, rabo de ovelha, tália, trincadeira das pratas, verdelho and vital. Permitted red wine grape varieties include aragonez, baga, camarate, castelão, preto martinho, tinta miúda, touriga franca, touriga nacional and trincadeira. Several additional varieties of red and white wine grapes, both domestic and foreign, are also permitted. Ribatejo has established a wine route that is divided into four itineraries. Each itinerary focuses on a particular theme, such as bulls and horses or the Knights Templar, as well as on the region's wines. 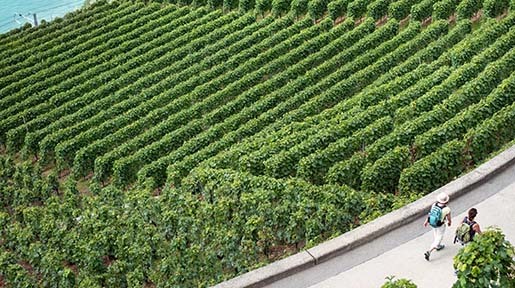 Most wineries on the route prefer to be contacted before the day of your visit. Interestingly, some of the region's best-known wineries, including Caves Dom Teodósio and Falua, are not part of the wine route. Wine writer Hugh Johnson** calls Pinhal da Torre one of Ribatejo's "rising stars" There is a wine museum on the property, which is not yet open for tastings and tours. Contact the winery to find out when it will be open to the public. Casa Cadaval dates back to 1648, when the winery was established by the first Duke of Cadaval. The estate is known not only for its wines but also for its stud farm; Lusitano horses are bred here. If you visit, you'll also see Mertolengo cattle on the property. You can arrange for a wine tasting or tour, but it's best to contact the winery in advance, particularly if you wish to visit on a weekend. Quinta do Casal Branco, another majestic estate known for its horses and cattle as well as its wines, offers tours and tastings. Ribatejo's wine makers are producing high quality wines and are capable of even greater accomplishments. This DO has all the elements for success in place – distinct terroirs, modernized wineries, increased investment and winemakers committed to improving quality. Ribatejo is definitely a region to watch. *The Wines and Vineyards of Portugal, page 242. **Hugh Johnson's Pocket Wine Book 2008, page 157.